Fatmooch69 has spent the last couple weeks searching for a bot in For Honor. The AI in question is a Raider, one of the game’s two-handed axe wielding vikings, called TheeLizardWizard. Fotmooch69 has enlisted other Reddit users to help him, asking them to share screenshots if they ever encounter it. That’s because TheeLizardWizard is a tribute to a close friend of his called “B,” who he says died last spring. Fatmooch, who wouldn’t give his real name, shared the post in question on February 17, just a few days after For Honor’s one year anniversary. In it, he described his experience of playing the game nearly every day for the past 12 months, and thinking about how it had strengthened his relationship with his buddy. B played a Raider on PC, while Fatmooch played Warden on Xbox One. Occasionally, B would get on Xbox One so the two could fight together, but mostly, they just talked about the game for hours and hours while playing on their own. B was the one who convinced Fatmooch to get a Reddit account so he could follow the game more closely. Then, toward the end of the game’s second season, just a couple weeks before graduation, Fatmooch said B went to a party, overdosed, and died in the hospital. The development team began working on TheeLizardWizard in February and finally introduced the bot into the game at the end of June. After his friend’s death, Fatmooch explained in his post, he approached For Honor differently. “I got a weird complex with my hero roster,” Fatmooch wrote. “I had played Raider before but never really enjoyed his play style. But once B passed away I picked Raider back up. It felt wrong to me that Raider wasn’t getting any love.” He went on to put 1,063 hours into the game. The developers at Ubisoft Montreal, the wing of the French publishing giant responsible for For Honor, were touched. Edgard, a level designer at the studio, forwarded the post to Eric Pope, the game’s community developer, who then suggested immortalizing B as a bot, Pope told Kotaku in an email. In April, Pope approached Fatmooch with the idea. Fatmooch convened with some of B’s other friends and they decided on the name TheeLizardWizard because it was apparently something people called him online, a reference to the psychedelic band King Gizzard and the Lizard Wizard. Much of B’s life story remains unknown. Fatmooch declined to provide any details Kotaku could use to confirm who B was. Similarly, we were unable to reach B’s parents to get their thoughts on having a tribute to their son hidden in a video game, though according to Fatmooch, B’s younger brother really appreciated it. When asked, Ubisoft said Fatmooch was the only person they had been in touch with as well. Seeing B get added to the game has felt both surreal and reassuring, he said. “With my original post I felt a bit silly. I felt silly for paying tribute to him in my own way for reasons that just came to me out of the blue,” Fatmooch said. “I felt dumb posting about it and expected it to be overlooked. Instead all of my feelings were validated by the community, they understood and wrote really sweet DMs and comments.” He also never expected his memory of his friend to end up living on in the game that he spent the last year using to help cope with his grief. 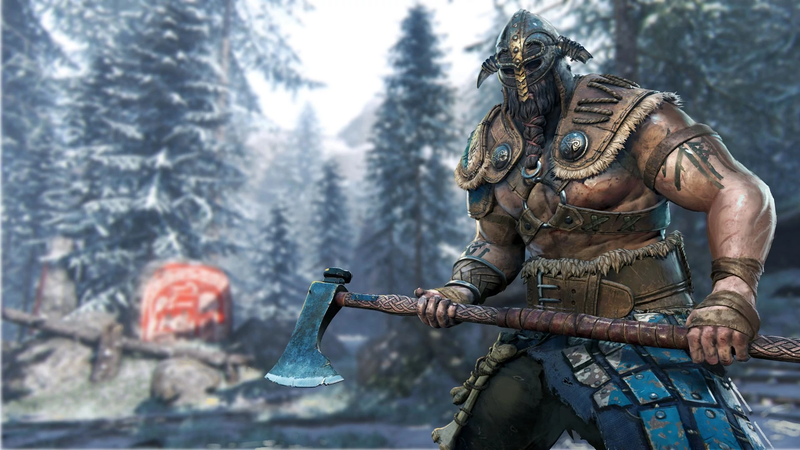 This isn’t the first time the For Honor team has honored a player in-game. Faris Khalifa, a 29-year-old who settled in the UK as an asylum seeker after fleeing the second Sudanese civil war at the age of 15, spoke earlier this year about how playing For Honor with an online acquaintance helped him cope with suicidal feelings. Pope and his team tracked Khalifa down and invited him to this past E3 in Los Angeles, where they introduced him to the development team. Fan communities online, such as specialized subreddits for games, have changed how games get made and what happens after their release. These online meeting places allow fans to speculate about what will be in a game or argue heatedly about what updates they think developers should be working on. These fans aren’t just sending their ideas into the void, either. Multiple people who worked on For Honor, from the community side all the way up to the creative and game directors, told Kotaku that they pore over the subreddit constantly. Often it helps them flag problems with unbalanced characters or technical glitches early. Other times it shows them that these games can have a real and profound impact on people’s lives. The nights that Fatmooch has played For Honor recently have been spent searching for TheeLizardWizard. So far, those attempts have been in vain, but he’s hopeful the bot will turn up sooner or later. Maybe the next time someone accidently disconnects from a match or rage quits after a particularly brutal execution, TheeLizardWizard will appear at last.